So here we go… first blog post… ever. First off, I just want to say thanks to Toby for allowing me this little corner of his blogging empire to wax poetic within. Over the course of our many years of friendship, Toby and I have found we share many a common interest. Board games, most definitely, but common interests in movies, video games, and comics quickly manifested as well. As Toby described his vision for the blog, he tossed out the idea that maybe I could write a little something from time to time about one of my dogged pursuits – Comics. My interest was piqued. I have long been touting the Valiant line of comics to my friends, and the opportunity to share with a larger audience my excitement for this line, as well as talk about other comics I enjoy from time to time, was too good to pass up! 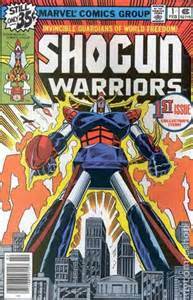 I even started a “Shogun Club” in the second grade, convincing several other classmates that we would actually build giant robots and fight the giant monsters that would inevitably appear. What? It could happen! I began actively collecting in High School, jumping into the X-Men related titles post- Fall of the Mutants. While I would jump around other titles, the X-Men were where I thought things were really at, and I faithfully collected them all the way into college. So here I am, a sophomore in college, still collecting the various X-Comics. Amazing artwork from this Jim Lee character, but as the months went on I found myself spending more time just looking at the artwork and less reading the story… and that bugged the heck out of me. Even in subsequent attempts to re-read an issue was for naught, I’d lose interest or couldn’t follow what was going on, and the comic would eventually be placed back on the stack. Something was just wrong. What good is a comic if the story is crap?? The month in particular escapes me, but during a visit to my local comic store I noticed a new comic standing solitary in a taped-together display next to the cash register – Archer & Armstrong #0. A hastily scrawled note taped to the display remarked that this was their highest recommendation, that Barry Windsor-Smith was the creator, and it was from a new company called Valiant. I inquired with the owner on if it was worth checking out, and he heartily endorsed Archer & Armstrong as well as the other comics Valiant had put out. Taking a copy from the display, I asked for another Valiant recommendation, and he suggested I try Shadowman #1, pointing to the one remaining copy on the racks. Done. 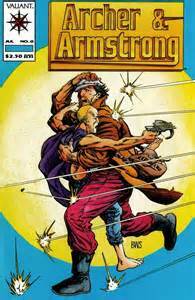 Heading back to my fraternity house, I wasted no time in reading Archer &Armstrong. Woah. What the… now that was a damn fine story!!! STORY!!! HALLELUJAH!!! Quickly I moved to Shadowman… sweet sassy molassey!!! I didn’t know comics could be that amazing! It must’ve been a small shock to the guys at the local comic shop when I returned back to the store about 30 minutes later, pulling copies of every Valiant title I could get my hands on from the racks. I was an instant convert to this upstart comic book universe. Over time, the X-Comics were removed from my pull list, and Valiant became the sole company I would collect. I stuck with Valiant the rest of the time they published. I won’t get into the history of the company here; it will suffice to say I stayed with them till the line was discontinued in the mid 90s. But that is for another post. After that, I drifted in and out of comics – reading Marvel during the Civil War event and collecting DC titles starting around Infinite Crisis and into the New 52 relaunch – all the while longing for that same reading experience Valiant gave… the cohesive universe, the scope and breadth of an entire world whose history had been planned out into the distant future, etc. I’d see it here and there, but never quite what it was like back in 1992. And then it happened. Whilst leisurely scanning through IGN in December, 2011, my eyes caught a familiar name headlining an article. Somehow, someway, a new line of Valiant Comics was about to begin! My favorite characters were returning! 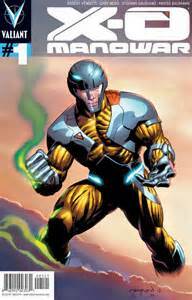 Valiant comics officially returned to publication in May, 2012, with X-O Manowar #1, and it has been a thrill ride for me ever since. As Toby and several others can surely attest, I have been a most consistent and enthusiastic apostle for the line. It’s my hope that I can share this enthusiasm in these postings, and maybe you, dear reader, will want to check out some Valiant awesomeness for yourself! Next up: So what is Valiant all about? Check back in a couple of weeks!